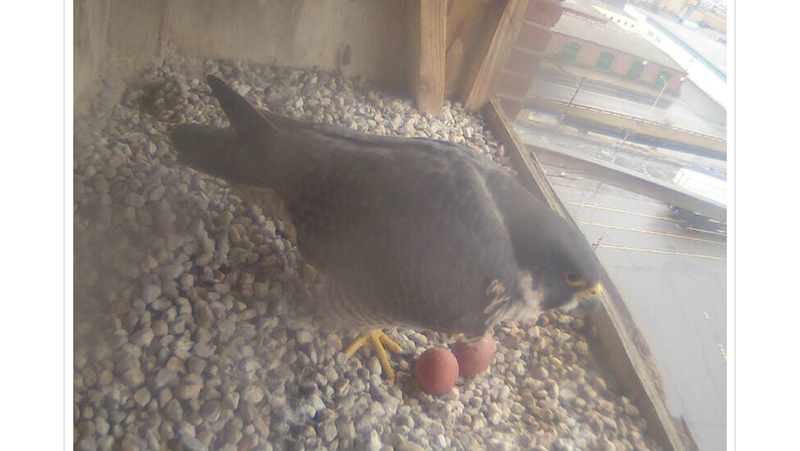 You are browsing the Blog for Peregrine Falcons Essex County. Made a stop by the Clock Tower on Tuesday morning at 8:45AM under bright sun and clear skies, winds from the W at 6MPH and temp at. 84F. 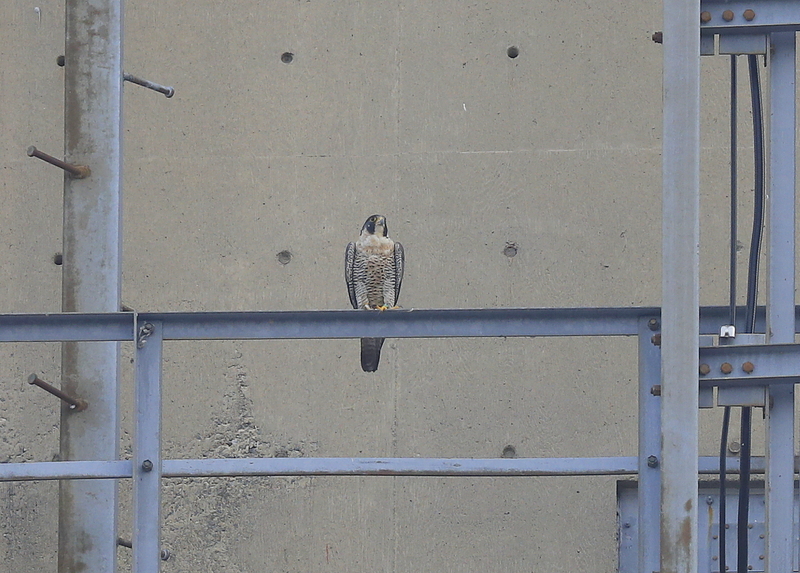 The female was perched on the nest box perch pole. This strongly suggested that the fledglings were close by. Sure enough, one of them, 27/BU was picking apart a morning meal on an upper story, west facing ledge, of the New Balance building, not far from the Merrimack Street entrance. 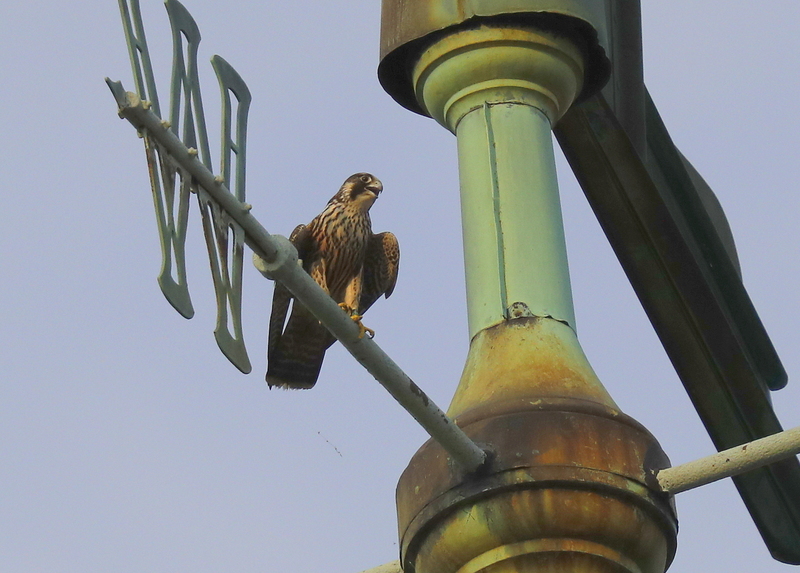 Another youngster was above a much higher ledge above the clock face. 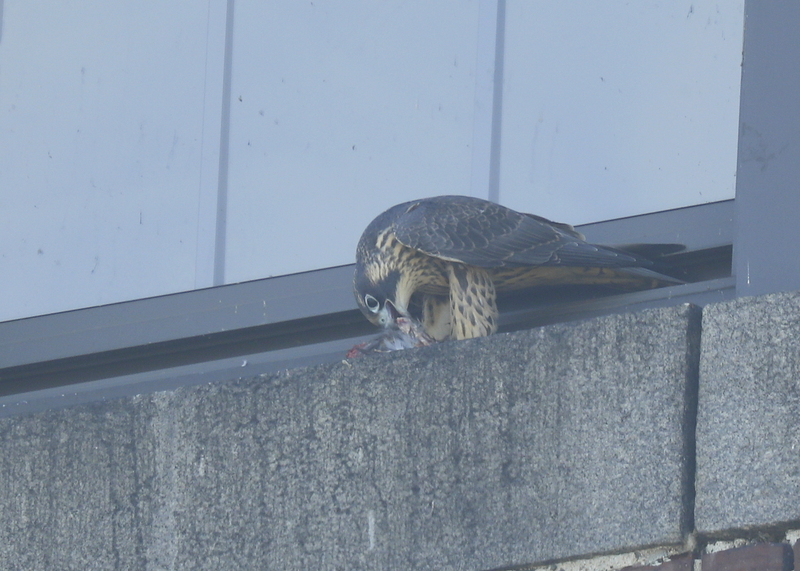 The fledgling eating prey, was ripping it apart and not wasting a minute. The other, slightly larger fledgling, 29/BU was content to just watch. It may have eaten a bit earlier. They then sat next to each other for a bit before the larger one took off in flight. 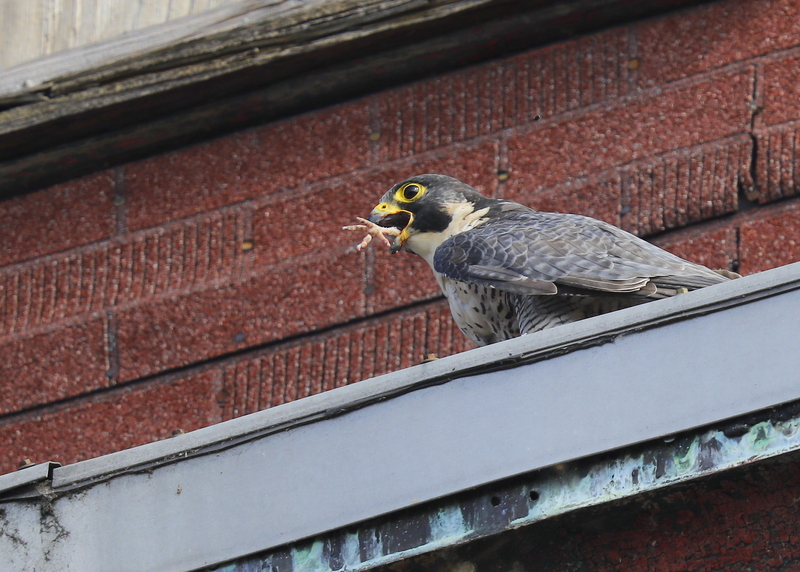 Observed all three fledglings, as well as both adults; very nice to see the young family all together! 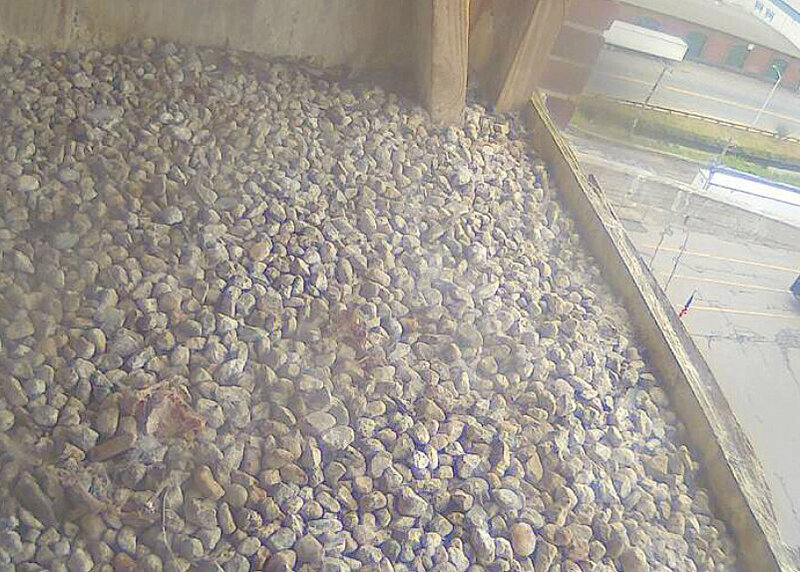 Usually, each youngster may land and remain at a special resting/feeding area near the nest box. At this location, it will receive food from the adults. 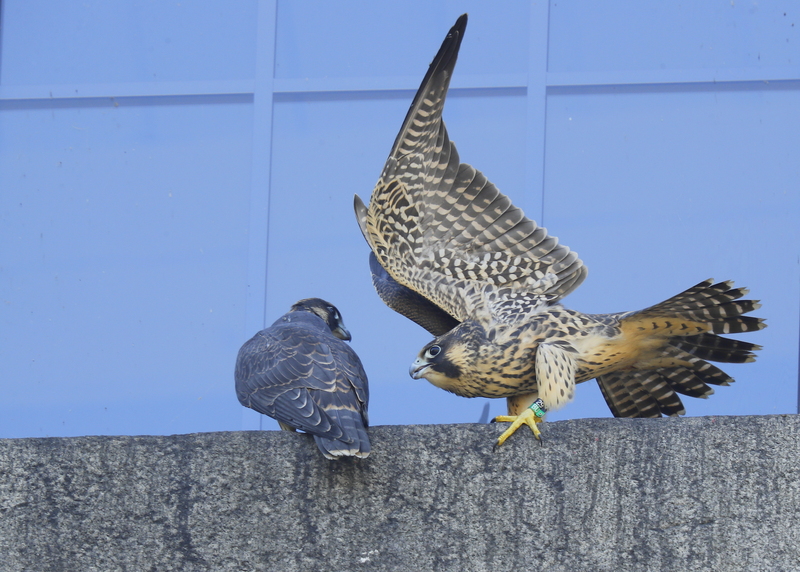 After a few days, the fledged young may be grouped together to be fed, by either parent. At first this is typically a bill to bill transfer of pieces, but later will be given intact prey to rip apart and eat on their own. At this stage of growth, the fledglings often rest by lying prone on nearby ledges, especially on hot afternoons. When the young are at rest, they may be very well camouflaged. It is possible to observe billing between siblings on ledges. There tends to be little bickering between youngsters over food. Flutter gliding by the young is frequent at this stage and appears to be the same flight as used by adult females before egg laying. 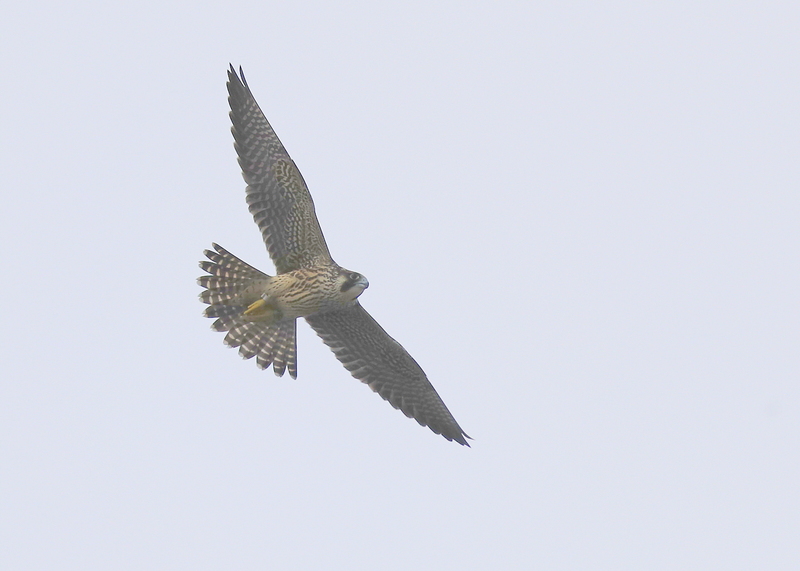 Once the young are on the wing, the female Peregrine resumes hunting in earnest, and often joins the male again in cooperative hunts. 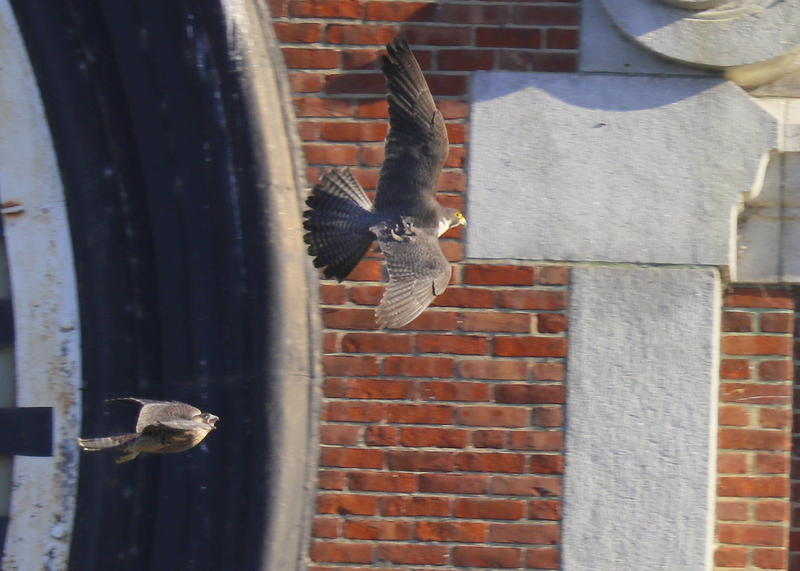 This image shows the female taking off in pursuit of a nearby gull that flew too close to the Clock Tower! 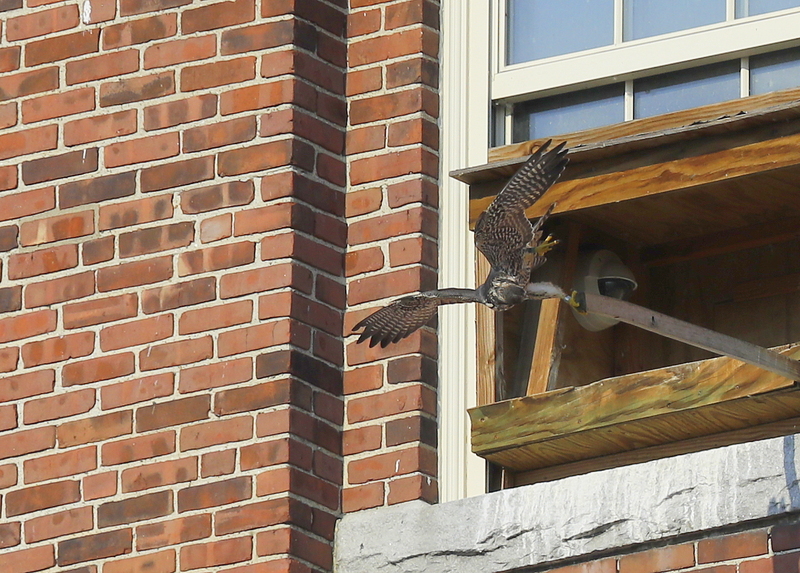 Increasingly, the fledglings make short flights in pursuit of, or in search for the parents. which in a few days begin to adopt aerial foot-to-foot transfers of prey to their offspring. The young love to chase each other as well as their parents, all in a very playful way! 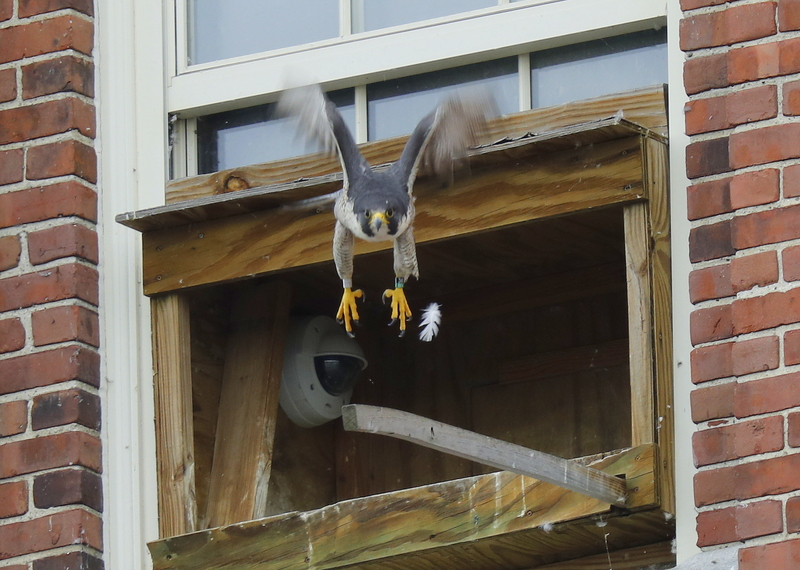 One of the great joys of monitoring a peregrine falcon nest, eggs, hatchlings, nestlings, and then fledglings; is the exciting moments around first days of flight. 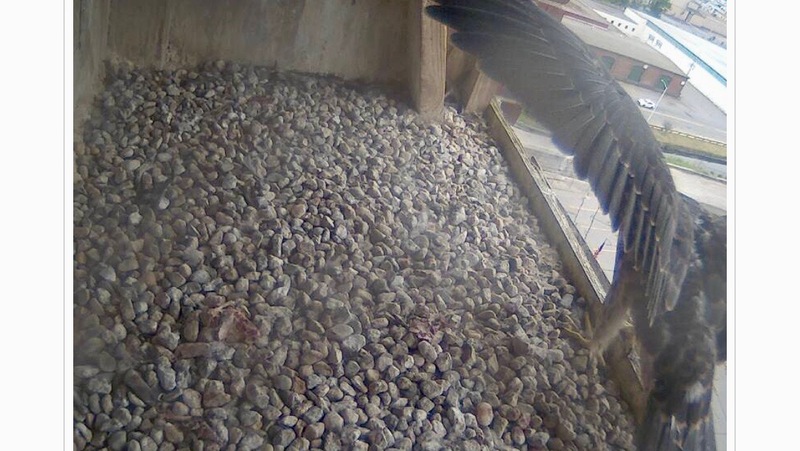 Although they rest quite a bit, as they adjust to their new life outside the nest box, their flight patterns are a joy to behold. Most of the flight patterns are a bit awkward, their takeoffs and landings, a bit uneven. 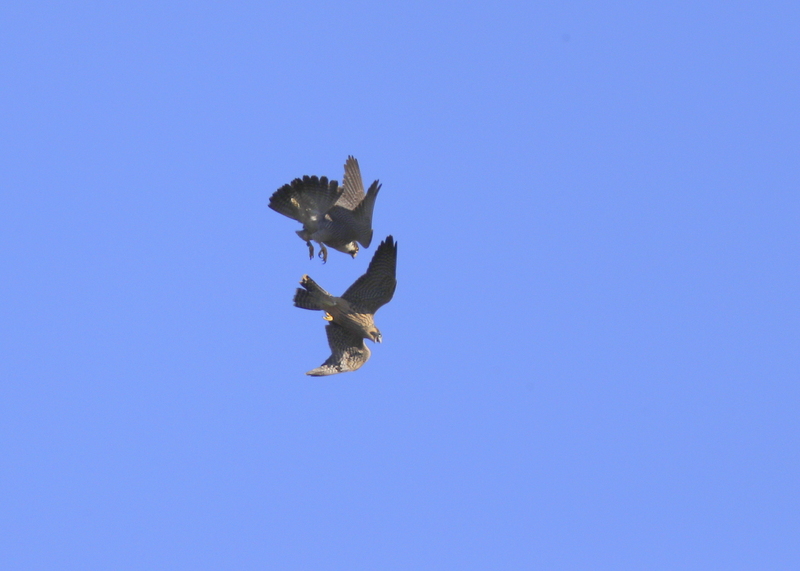 They love to zoom around in playful flight with adults and each other. Flights grow stronger day by day over the first week. Many times the youngsters will engage in mack combat drills with rolls and outstretched talons. 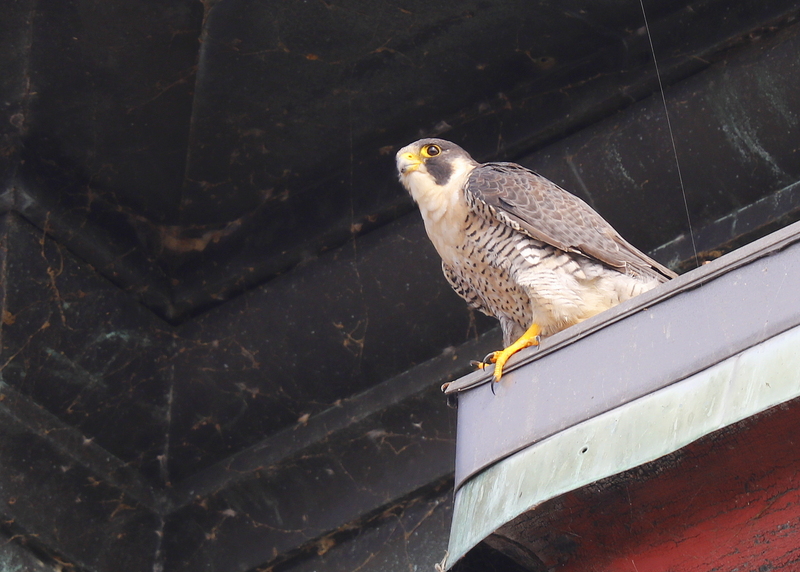 The family usually remains close around the Clock Tower, roosting in many different locations. 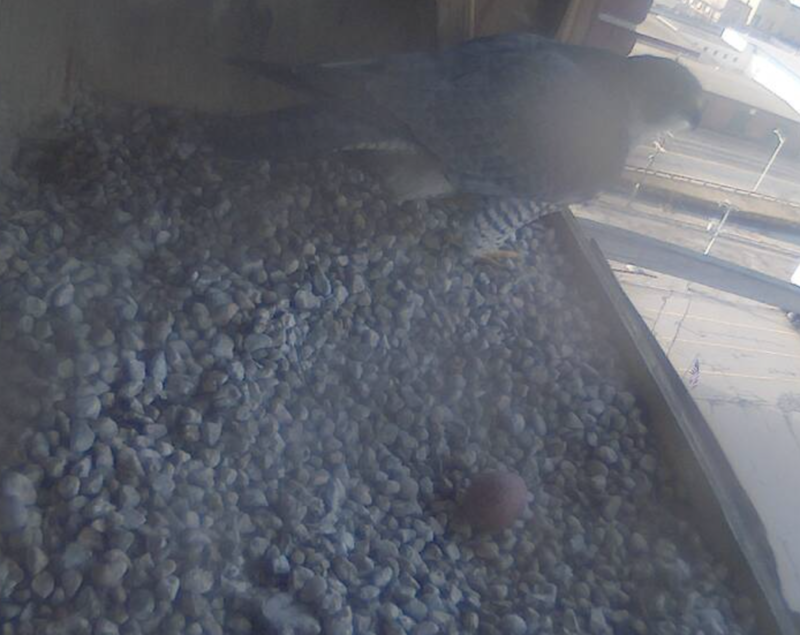 By now the nest box looks bare, with few remains left behind.